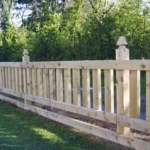 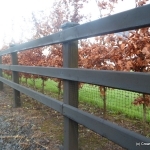 The material used in our special top post and rail fencing is pressure treated timber. 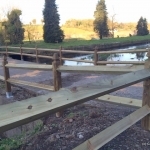 The pictures above show 1.8m 100×100 and 2.4m 125×125 special top posts using 4.8m 100×44 square rails and 3.6m 150×36 D-Rail with 100mm galvanized nails. 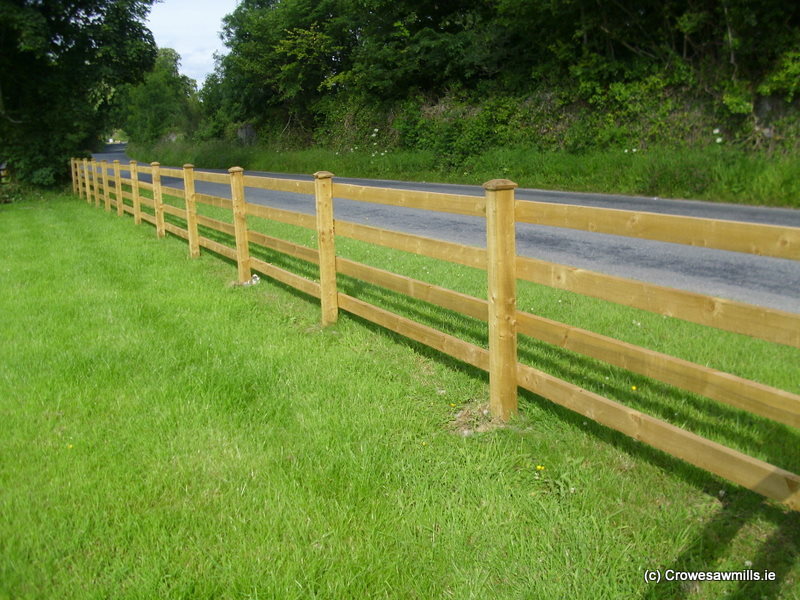 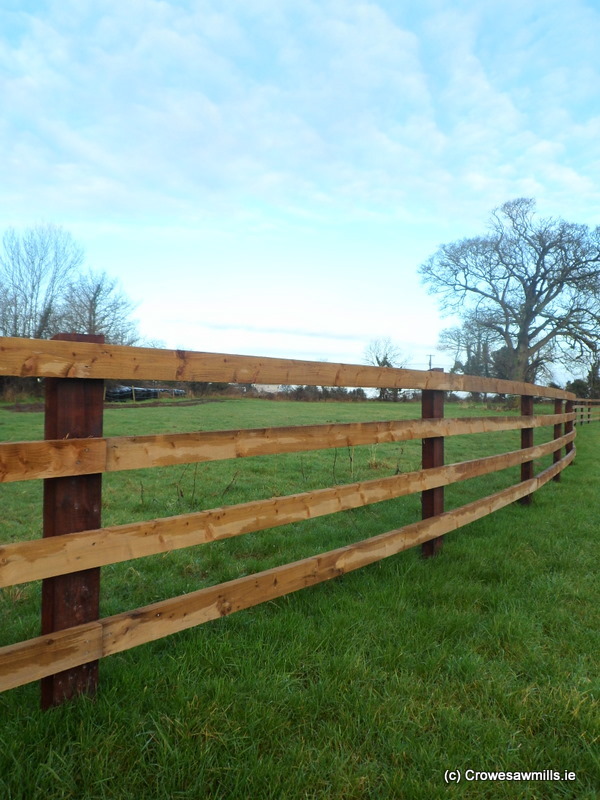 All of these timber post and rail fencing products are also on sale in Crowe’s Sawmills. 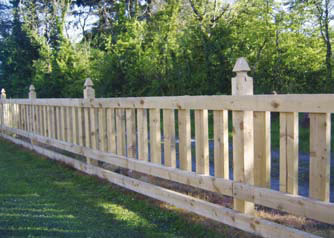 • Quality sourced Redwood Timber. 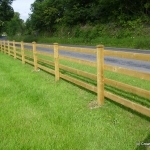 We are happy to take your enquiries and make recommendation for all of your post and rail fencing needs. 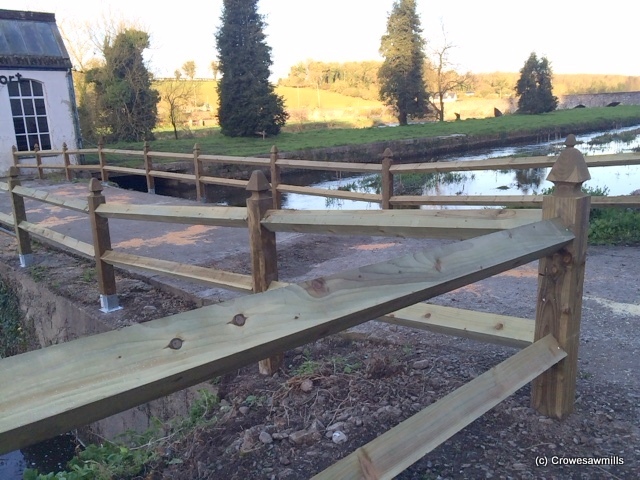 Crowe’s Sawmills…. 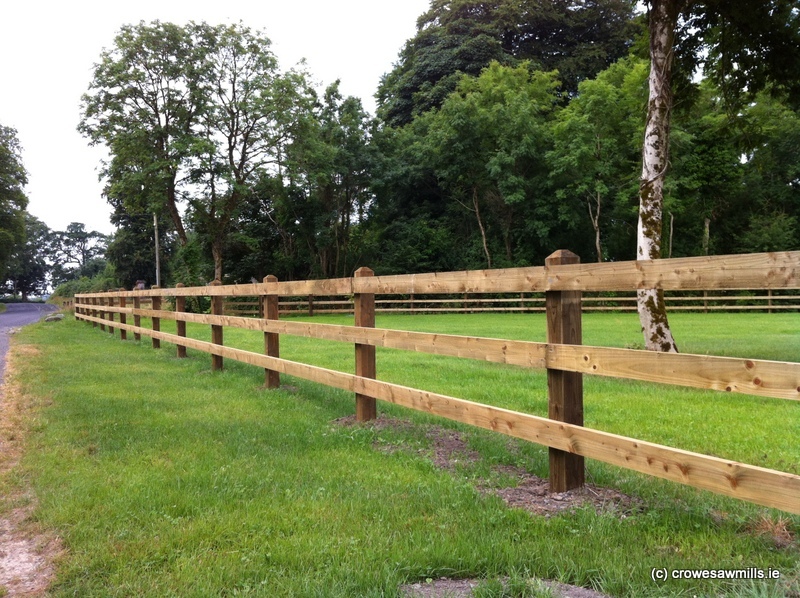 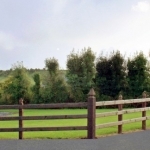 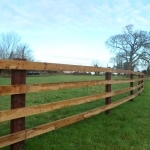 the top choice for post and rail fencing in Ireland. 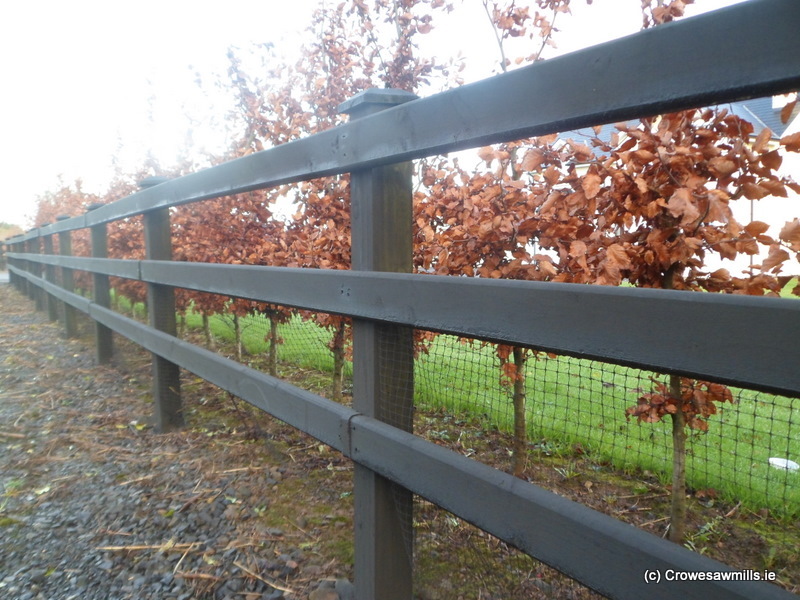 N.B Special Top Posts can incur some drying cracks. 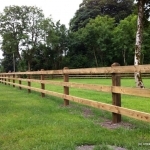 Timber being a natural product is liable to cracking over a period of time and especially in extreme heat, this a natural characteristic in timber and timber being a natural product.